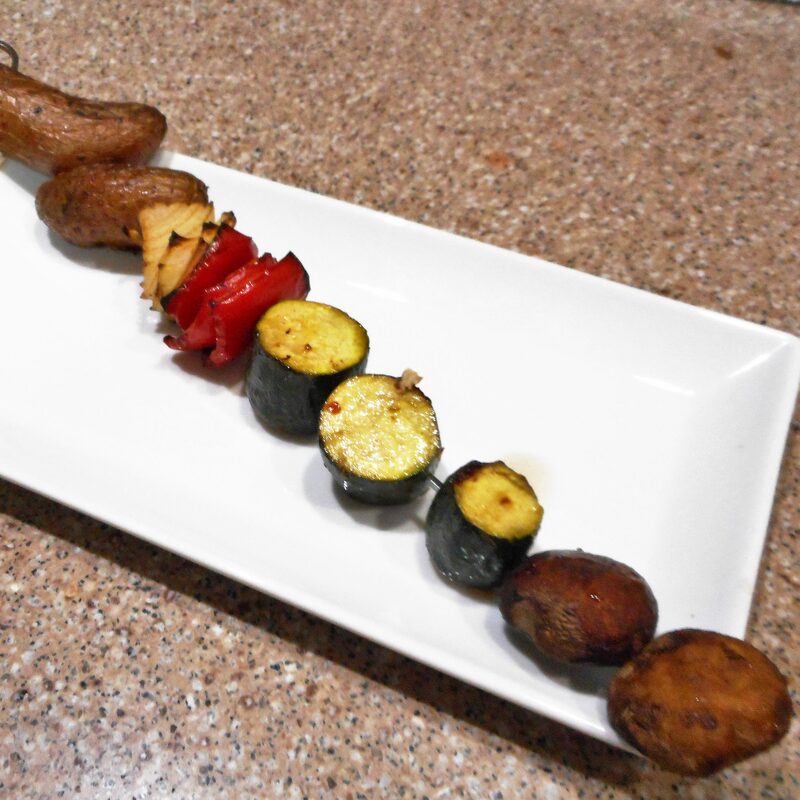 The trick to this dish is to add your choice of vegetables to the skewers according to their cooking time. Start with those that take the longest to cook, then add any others you like. 1. Place the potatoes in a pot of cold water to cover. Bring to a boil and add a generous amount of salt. As soon as the water comes to a boil, start a timer for 10 minutes. When the timer goes off, drain the potatoes and proceed with the recipe. 2. Heat a grill to medium. Thread 3 potatoes on each skewer and brush with Italian dressing. Grill for 10 minutes, turning once. 3. Add half of the onion wedges and bell pepper to each skewer, brush with dressing, and cook another 5 minutes. 4. Add the zucchini, brush with dressing, and cook another 5 minutes. 5. Finally, complete the skewers with the mushrooms and more dressing. Cook, baste, and turn as needed until all the veggies are cooked to your liking.